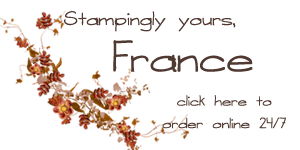 Yes we are back with Stampin’ 101. Today it’s all about the basic of Washi Tape. How to add some washi tape to your cards and scrapbook page. You will see in the video how easy it is to add some color to your card with a little bit of washi tape. Video can be view on my blog at www.frenchiestamps.com and to view all the other Stampin’101 CLICK HERE. FYI if you are wondering what I’m up to at Leadership in TX visit my facebook page CLICK HERE to see the latest. I will try to keep you in the loop. Thanks for those washi tape ideas. I added a “Wonders of Washi” class to my schedule and was looking for ideas. Hope to see you at Leadership!!! Thank you for this post! I gave some washi tape to a friend and sent her your post so she can see all of your wonderful creative ideas!